Bertolt Brecht was a prominent 20th-century playwright, theater director, and poet whose contributions to the field of dramaturgy created a sound basis for the contemporary theatrical production. 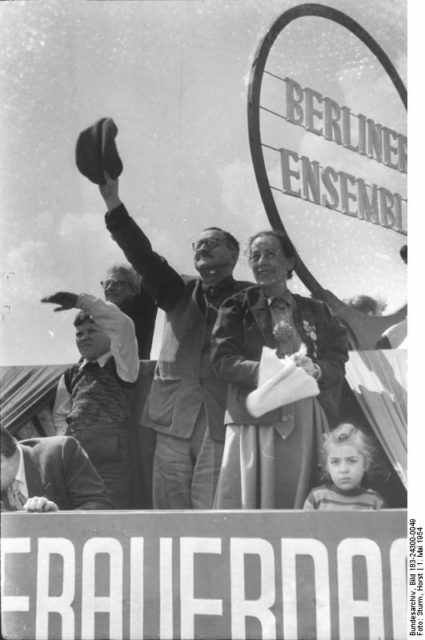 Brecht openly opposed the Nazi ideology since the early 1930’s, and fearing persecution; he fled from Germany immediately after Hitler rose to power. Brecht wrote the play “Mother Courage and Her Children” in 1939 when the armies of Adolf Hitler invaded Poland. The play is Brecht’s direct critique of the fascist ideology of the Nazi Germany and is nowadays considered as one of the greatest anti-war plays ever written. The play is set in the 17th century, and the narrative follows a woman named Mother Courage and her three children who are pulling a cart and selling provisions to soldiers in the wake of the Thirty Years’ War. Mother Courage intends to profit from the war, so she forces her children to sell their merchandise in various unfavorable circumstances. The children are exposed to the hardships of war, and they die one after another, but Mother Courage refuses to move her business elsewhere. At the end, when her only remaining child dies, she sings a lullaby, arranges a burial and continues with her business. It is hard to misunderstand the symbolism of “Mother Courage and Her Children.” Brecht intended to show that Mother Courage selfishly endangered her children by forcing them to participate in her wartime business efforts and that she was a personification of the atrocities of war and desire for power. 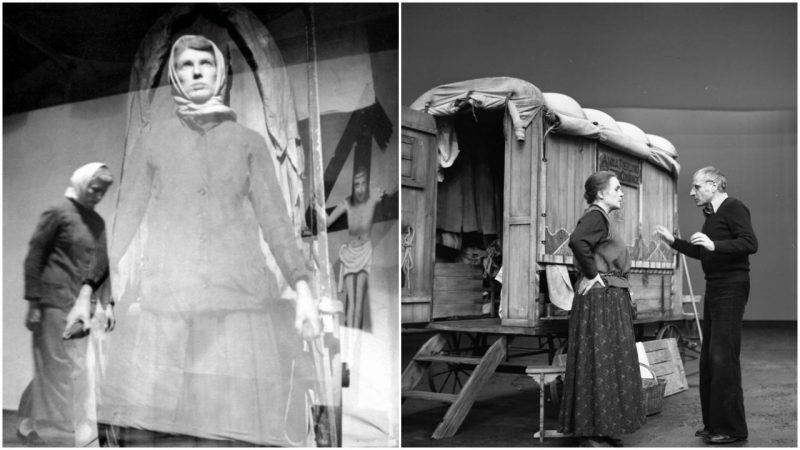 The character of Mother Courage was supposed to inspire revolutionary ideals and make the audience condemn the militarism of the Nazi Germany. However, Brecht’s play was initially misunderstood. Both the critics and the audience of the time praised the play, but they were sympathetic towards Mother Courage and were devastated by her losses. They perceived her as a character whose family was destroyed by the war, and not as a criminal who participated in the war and sought to profit from it. 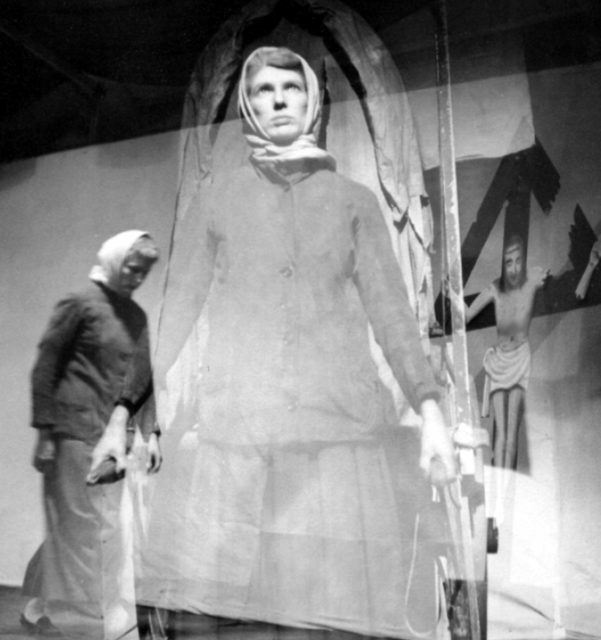 Brecht was infuriated because the audience failed to interpret the allegory of Mother Courage, and so decided to alter the play after World War II slightly. 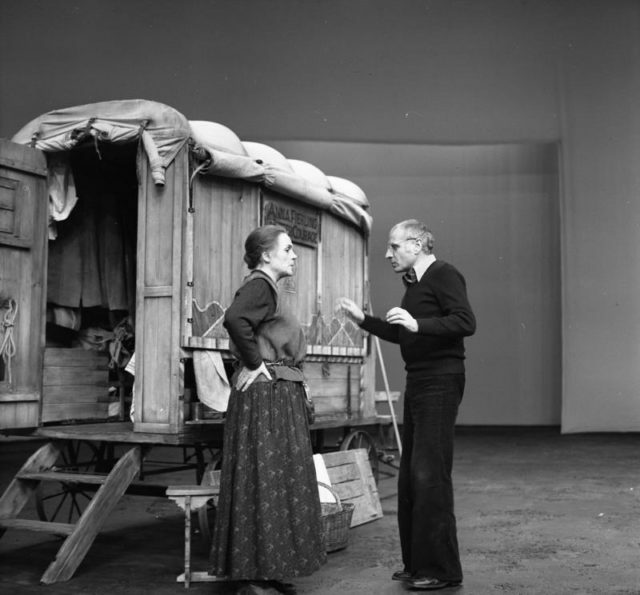 The new version of the play was staged several times in East Berlin in 1949, but Brecht wasn’t satisfied with the results. 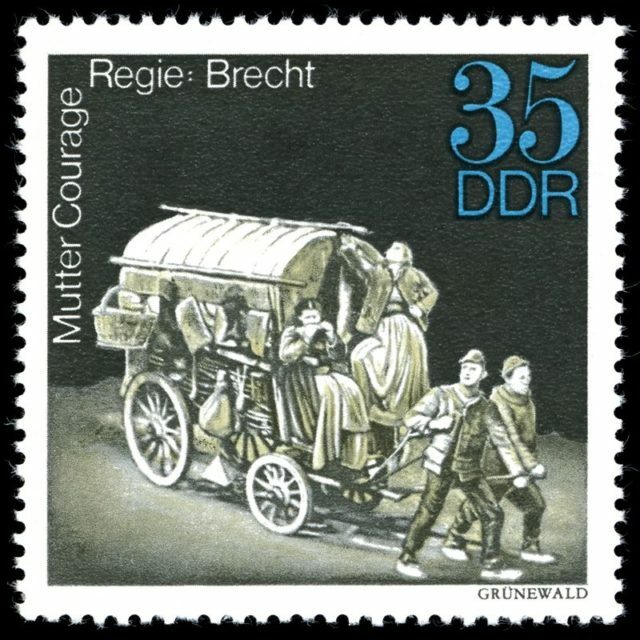 Stamp commemorating the Berliner Ensemble production of “Mother Courage and Her Children”. However, the play gradually gained fame, and both critics and audiences worldwide began to decipher Brecht’s symbolism. Mother Courage became a synonym for ruthlessness and the shameless quest for profit, and it is nowadays seen as a poignant cautionary tale of human weakness.